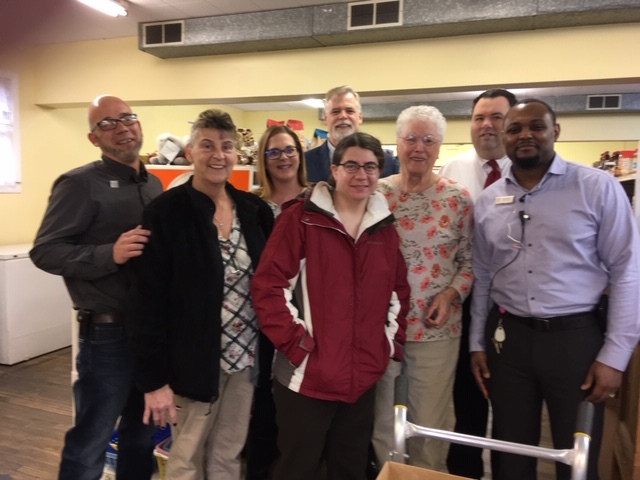 Seeing a need, the management and staff of the Fairfield Inn & Suites Harrisburg International Airport continued their Community Service efforts by deciding to hold a Non-Perishable Food Drive with their local clients and guests. Non-perishable food items were collected over a three week time period. The team personally delivered all of the collected items to the Food Bank in time to help local families enjoy a wonderful Thanksgiving meal. Run by volunteers, the Middletown Area Food Bank supplies emergency or supplemental food to qualifying households in the Middletown, PA area. This nonprofit food pantry is sponsored by the Middletown Interfaith Council of Churches and helps over 165 households with 330 to 400 people in a typical month. The pantry is associated with the Emergency Food Assistance Program and the Central Pennsylvania Food Bank, which supplies some of the food. Other food is donated by churches, food drives, Giant and the Sharp Shopper. Thank you to all of the generous guests, clients and staff in assisting the team at the Fairfield Inn Harrisburg International Airport in their continued efforts to give back to their community. Thank you for organizing the food drive! Have a wonderful Thanksgiving! Great job guys!! Love the community involvement! Way to go! I’m sure this will be very much appreciated by the receivers.